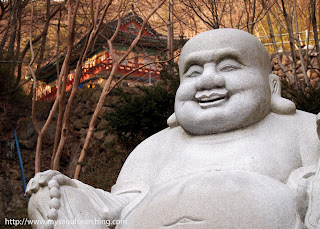 Recently, I wrote a post about all of the wonderful reasons to love autumn in Korea. Not listed in the post but very much included in my reasons for loving the season is that of Chuseok. Chuseok is a Korean holiday that celebrates the autumn harvest and is held around the autumn equinox based on the lunar calendar. It is usually three days long and is one of the few times of the year that Koreans take time off of work and visit their hometowns to share an autumn feast with their families in celebration of the harvest. 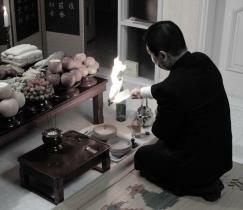 Chuseok is also a time to remember ancestors through various ceremonies. A son sends his deceased father a message through the medium of fire at the conclusion of a sumptuous ancestor ceremony called Jaesa (제사). Just a few minutes later we devoured every last scrap of food on the table, and then some.